4 Bedroom Terraced House For Sale in London for Asking Price £995,000. 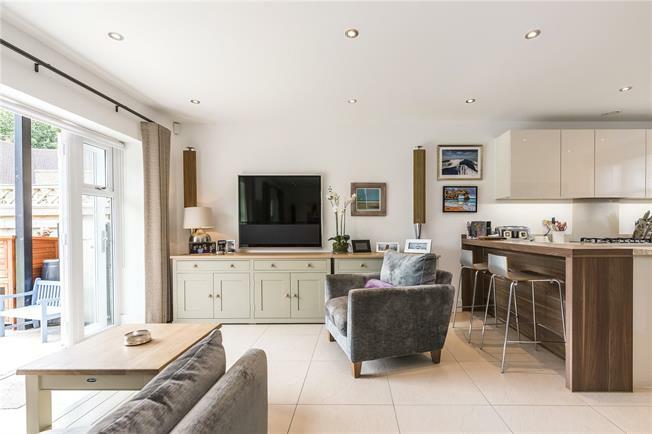 An immaculately presented four bedroom modern family home of over 1,500 sq.ft (storage area measurements not included), suitably positioned within this impressive St. James development. The superb open-plan kitchen/family room provides excellent space for entertaining with a formal living area and separate dining space with French double-glazed doors leading to an attractive south facing garden. The stylish kitchen has a front aspect and provides excellent storage, generous worksurfaces and an array of high specification integrated appliances. There is also a convenient breakfast bar, and this room has underfloor heating. Located off the entrance hall is a large storage cupboard, further cupboard housing washing machine and and a ground floor cloakroom. Two bedrooms and a family bathroom are positioned on the first floor as well as a further living room equipped with an excellent sound system. There is access to a full-width private balcony that overlooks the garden. The master bedroom is found on the second floor boasting floor to ceiling built-in wardrobes and an ensuite bathroom which is presented to the highest standard featuring a large walk in shower and separate bath with shower attachment. A further bedroom with fitted wardrobes and a shower room are also found on the second floor. There are two private parking spaces allocated to the house to the front and a handy covered bike storage area. The private rear garden is perfect for al-fresco entertaining, with a recently-extended terrace and path leading to a rear terrace section beyond the lawn. 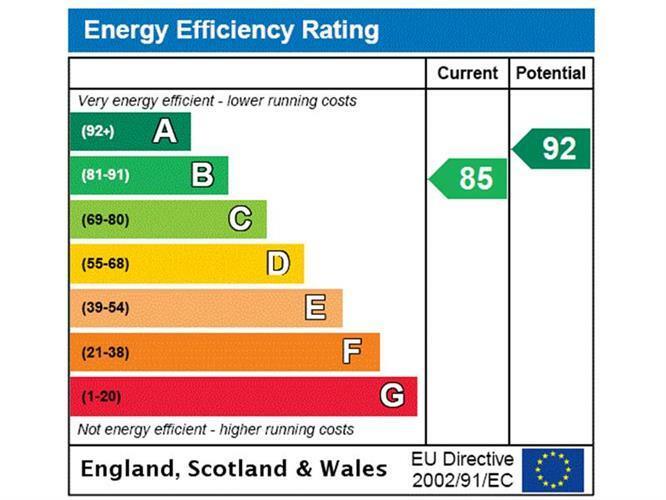 Further benefits are outside power sockets and a double shed also with power sockets. The garden has rear access to the communal gardens of the development which are situated to the front of the house, along with the pretty square. The loft space can be accessed via a loft ladder and this makes for further storage space, and there are thermal solar panels which generates hot water all year round.